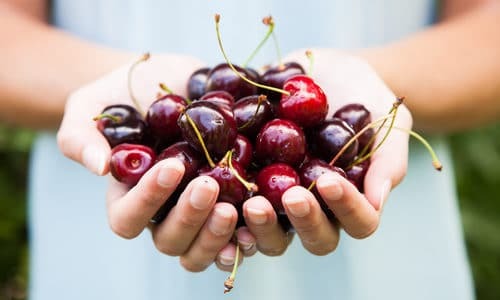 I love cherries, it is one of my favorite fruits, I can have an entire bowl of them and I usually have to control my portions cause sometimes I can’t seem to stop and not because I have gout; but for my passionate desire and deep love of cherries! Thank God they are actually good for us gout sufferers! So what is so special about this fruit? Cherry nutritional facts and health benefits point to the fact that the cherry is very high in vitamins both C and A. All cherries contain Vitamin C and fiber. Studies show that consistent intake of Vitamin C can help reduce uric acid levels by up to 50 percent, and control inflammation of gout-ravaged joints, which is a primary cause of severe gout pain. The cherry is also a very low calorie fruit, only 63 calories for 100g, pigment rich food that have powerful anti-oxidant properties and anti-inflammatory agents helping reduce heart disease risk. In addition, cherries help the human body to fight against cancers, aging, jet lag and neurological diseases and can even calm down the nervous system which helps relieve neurosis, insomnia, headache conditions even depression. Furthermore, they don’t only help us gout sufferers but can help people with fibromyalgia, a painful muscle condition and sports injuries. What is the correlation between cherries and gout? Now to the evidence that it helps us gout sufferers, the first study on cherries for gout appeared in medical literature in 1950 (Texas Reports on Biology and Medicine). A study published in 2003 in the Journal of Nutrition found that among 10 healthy women eating two servings of Bing cherries, uric acid fell by 15%. A Journal of Nutrition study from 2006 found that 18 healthy adults who ate 280 grams of Bing cherries each day for a month had a significant reduction in blood levels of substances associated with inflammation and immune cell activity. 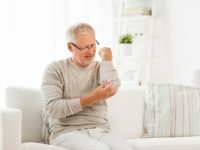 A Journal Arthritis & Rheumatism study of 633 patients with confirmed gout and followed for 1 year, found that patients with gout who consumed cherries (1/2 cup serving or the equivalent of 10-12 cherries) or cherry based extract for 2 days were less likely of a subsequent gout attack by 35%. Those patients who ate more cherries, up to three servings in two days, had an even lower, 50 percent reduction in risk. Even more, the risk for gout attacks was decreased by nearly 75% when cherry intake was combined with allopurinol use. How does a gout sufferer consume cherries? Eating cherries in their many forms and varieties, like canned, frozen, raw, cooked, tart, pill, sweet and black are thought of been beneficial to treat gout. Consuming dried cherries, fresh or juiced are all good. Eating about 25 cherries are ten times stronger than aspirin and other ordinary pain-relievers. But if you get a gout attack or flare up, how many cherries should you eat? Some suggest that 30 to 40 every 4 hours is advisable during a gout attack and the same amount daily for prevention reasons; or simply eat minimum a cup of fresh or dried cherries after each meal, which is very effective for the pain treatment. About 20 cherries equal 25 milligrams of anthocyanins, the daily dose that should be taken, either in juice or eating the fruit for preventative measures. You can even drink a cup of cherry juice, black cherry juice or tart cherry juice twice a day or 2 tablespoons of concentrated cherry powder with one cup of water. You can easily find cherry juice in your local health food store or online. It might seem strange that cherries would lower your risk of gout, as this condition is often associated with sugar, fructose and fruit juice consumption. But you only need to eat a small amount of cherries to get the benefit, meaning the sugar contribution is small. 10 sweet cherries or 1 cup of sour cherries contain about 4 grams of fructose, 25 cherries would put you at 10 grams of fructose. Berries, apples, pineapple, oranges, bananas and grapes have way more sugar per 100g than cherries. You would need to eat more than 60 cherries to put you over the limit where the fructose of the cherry might start affecting you negatively and produce higher uric acid levels. I think eating 12 to 25 cherries daily is ideal. Limiting fructose/sugar in your diet is one of the most important parts of managing and preventing gout attacks. If you have gout, it’s imperative to restrict your fructose/sugar intake to below 25 grams a day, including from fruit, as fructose/sugar drives up uric acid levels in your body. Remember treatments vary according to different people; you should adjust the dose accordingly. For example, regular cherry concentrate is very sweet and thick. One tablespoon equals to about 45 to 60 cherries. On a side note, whenever looking for cherry-based products it would be better if made of tart cherries, because they are the ones more effective among all other cherries to fight arthritis, working better in the prevention and treatment of this painful condition, by reducing the levels of uric acid and breaking up the crystals that are responsible for the joint pain. Generally, tart cherries have been found to have higher concentrations of phenolics and anthocyanins than sweet cherries. Tart cherries are also slightly lower in sugar. There you have it folks, make sure to add the cherry in your daily diet in whatever form and/or method you prefer, it is a must for the gout sufferer. Until next time! I’m just at the point where a vicious month-long attack is starting to subside. It’s the first time I’ve tried cherries to help with gout. I picked up a kilo and have been eating about 20-25 each day split into twice a day for the last three days. I must say, not having taken any other painkillers, there is a definite easing of pain within about 45min – 1 hour after I eat them each time. I can’t say if they’re breaking up the crystals or clearing out the attack fully (need a blood test for that), but they’re definitely helping with some much welcomed pain relief. The attack was in my left big toe and heel/ankle. It’s probably the most nasty one I’ve had. I’m on prednisone for a week now (as of today) and that’s started to really punch out the inflammation and pain. But yes! I’ll definitely be incorporating more cherries into my diet generally (they’re delicious anyway!) and up that consumption if I’m unfortunate enough to get another attack. It’s been working for me. Hopefully it does for you too! My husband has had his 4th major your attack in 2 months and they are unbearable, I’ve never seen him in so much pain. However it has now moved over to his right foot normally it’s in his left. He is on Indomethacin 50mg. Now just went out and bought cherry juice and fresh cherries as well as nettle leaf tea. My question is how much of everything do I give him? He is in so much pain it’s crazy! Thank you for your website, it’s a great help. I should also state he is healthy and only 45, although we have been told he has a “fatty liver” and we don’t know why. He isn’t a big drinking a beer here and there..
You can drink tart cherry juice but I’m not a big fan since there is so much sugar, prefer he takes Tart Cherry Extract, doesn’t have to be mine, you can find it anywhere. It will be more effective. You can eat a cup of fresh cherries daily, drink as much nettle leaf tea as he likes. If doctor prescribed medication, give it a couple more days, the pain should decrease daily, if it doesn’t, please go back and ask to see if they can elevate the dosage. Soak his foot in warm water and Epsom salt to help relieve him of some pain. I get an occasional flare up (e.g., once every two years) and my uric acid levels typically test just above the reference range. Given the infrequency, I’ve decided not to pursue a prescription medication at present and attempt using your products, along with additional hydration, exercise and diet modifications. I’ve ordered the two subject products from you via Amazon.com and expect delivery today. I’m presently in a slow recovery from last week’s flare up. I presume these items will speed recovery. I am not on any medication. Quick question: Can I take Tart Cherry Extract and Nutrigout simultaneously? Or should I stagger consumption, alternating between products daily? Yes you can take them simultaneously. They are not medication so nothing will affect you. I am a gout sufferer since 2012 and the attacks have off and on since then. Some sites that I have visited so far have given some redial solutions to gout attacks or flares, such as taking raw garlic, bananas and lemon water. But is lemon water with sugar safe? Skip the sugar if you can since lemon has some natural sugar in it already. It is safe. with that cherries good for gout cherry tomatoes bad gout? For inflammation and swelling, the cream! Apply it up to 4 times daily for some relief. NutriGout and NutriGout Plus are dietary supplements to help supplement your gout diet. What are our weakest parts of the body as gout sufferers? Kidneys and liver. That is where uric acid production comes about so we need extra nutrients to maintain them and keep them healthy. Personally I take NutriGout Plus and Tart Cherry Extract daily. Plus Apple Cider Vinegar, B12 and vitamin D. In addition, I take a ginseng vial 1-2 times a week. Drink plenty of water! Thanks for your newsletter. 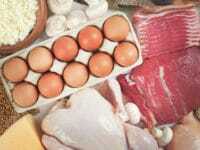 I have heart disease and take high levels of niacin B3 which creates a flush. This product saved my life. My diet is excellent. 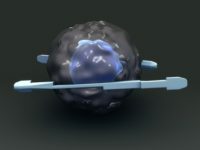 My bloods for heart disease: Triglycerides and cholesterol are normal now. No more symptoms. I recently had a 2 month case of gout. I am off the anti inflammatory but still on the medication that lowers Uric Acid. Question for you: can your cherry tart product replace the medication? I notice that actual cherries have too much sugar. To answer your question I wouldn’t get off of your medication. Your doctor knows your medical file best and you should follow his advice. Tart Cherry Extract helps control uric acid and is meant to supplement your gout diet. If it were a cure, then everybody would be off their medication and would take Tart Cherry for life but that is not the case. Mind you I get emails from gout sufferers that claim it has helped them a lot with their gout. Other gout sufferers will state that it helps with their inflammation. It is a popular remedy in the gout community and many will swear by it but I am not a doctor and can’t advise you to replace your medication with it. 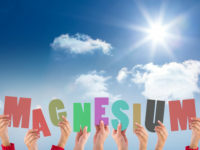 If you do suffer from gout, you do want to take a supplement like NutriGout though that helps cleanse the liver and kidneys which are the most important organs for a gout sufferer and to basically limit the disease from worsening down the road. The liver and kidneys is where all the uric acid gets produced, so if you take care of them, they will take care of you. Obviously, one must eat better too! 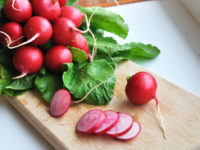 Foods that are good for the liver and kidneys. But check out the ingredients and do your own research and you will see that these ingredients are the very best for cleansing your liver and kidneys. At the end taking a supplement like NutriGout or Tart Cherry Extract will not harm you but help you. 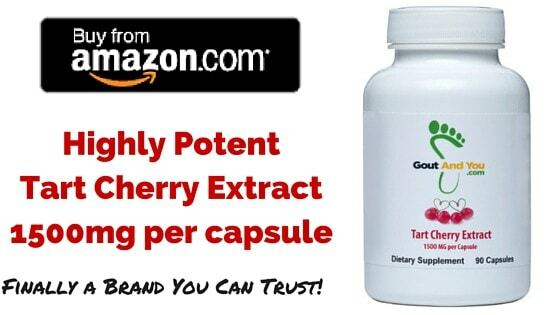 Is product Tart Cherry Extract Capsule Gluten Free ? No it is not gluten free. If you’ve read my blog, I am not a believer in the gluten free fad. Unless you suffer from celiac disease which are the only folks that should avoid gluten, you can take it. Nothing wrong with gluten. Most important part of the wheat chaff. Thanks for your site Spiro. Good to read the comments. So I have been getting ready to go walk over a new hunting club. Everything pointed to this past weekend. Everything ready. 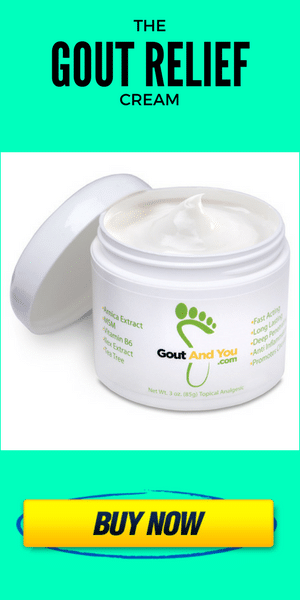 Then BAM…the dreaded gout! Now I am lame in my right foot. Dang! In my case a couple of Cokes will give me gout. However…this time it was Norvasc..a high blood pressure pill. I changed to it from a long time run with another brand that was starting to make me sleepy and weak. With Norvasc I felt GREAT…until my right foot swelled and it went into gout over the weekend. Today is the worst. I have had it before but this time is different. It’s in my ankle and my tendon down there is sore. After taking your advice I hobbled into Walmart before daylight (instead of the woods) for my dosing of tart cherry juice. I imbibed a couple of glasses straight off. We shall see. In the past when I had an episode coming on I’d take an expensive Colcrys (colchicine) pill. Now I can’t because I’m on Simvastin for cholesterol. Darn! So I’m depending on that juice effect my friend. Let us see. Again, super thanks for your timely info! Big time. Ouch! When you eliminate fruit from your diet what do you replace it with? Can I take the tart cherry capsules in addition to eating 20 bing cherries a day? Thanks! my mother is on Warfarin (blood thinner medication), is it safe to take cherry suplements along with it? Hi,I ate many fresh cherries yesterday but my ache in the knee seems more severe. Can it eat cherries during an attack? Yes cherries won’t worsen your inflammation, it must be something else that is causing it. I bought some black cherry concentrate in hopes that it will help prevent my gout attacks…or at least make them less severe. How many mg do I need to take to equal a good serving of cherries? Do you think tart cherry juice is better than black cherry capsules? Best to take tart cherry capsules and skip the sugar intake. I don’t drink any juice whatsoever for that simple reason. I don’t think the cherry juice works immediately in respond to Dianne’s comment. Just like medicine it takes a while to be in your system to work. My mother suffers high uric acid.Is cherry usefull to reduce high uric acid? Yes it is according to research, see studies in article. How about drinking more water? 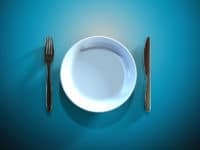 My brother has been stricken with gout since after landing in the hospital with kidney failure, largely because he was drinking hardly any water due to prostate problems. Wanted to suppress urination. Bad idea! He had lots of crystals in his urine when catheter was inserted. Aren’t those the same crystals causing problems in feet and joints? It seems from studies that sweet cherries are more effective than tart ones. The past two days have just been horrible for me. I had my first case of gout in January of 2015. Since then I’ve only had one painful incident earlier this year where I was limping for about a week but I didn’t have that burning and drilling pain feeling. However, 4 days ago I was limping and for the past two nights I’ve suffered for 8 hours or more a day of the burning pain. It comes and will literally force me to stop doing anything while I can’t help but cry out in pain. Then it’ll subside only to come right back in a few seconds. I’ve found that if I lie down or prop my foot up it gets much worse. If I sit down it is almost manageable. I can’t find any podiatrist around me that are able to just let me in and talk to me about this on short notice. I was wondering if there was anything I should be doing to lower the pain? My friends have gotten me black cherry juice, almonds, and salad. My meals the last four days have been a handful of almonds with salad. For the salad it’s just romaine lettuce with some pieces of carrots and I top it with a drizzle of extra virgin olive oil and salt and pepper. Other than that I’ve been doing water by the gallons (4 days and 2 gallons are gone). Any help would be appreciated. Yes, Cherry worked like medicine for me. My does is 7+7+7 cherries per day. Somewhat confused regarding cherries. Have been buying tart cherry juice concentrate yet concerned about its fructose content. What is the fructose content of cherry pills? It depends each supplement is different but I’ll tell you that it is much lower so you are better off anyway. Hello Spiro, when will you have your product back on amazon? it seems to be out of stock and no expected time for restocking? By the end of this week it will be back in stock. Check by Friday. NutriGout is available though if interested. Been looking at taking cherry extract pills to control my gout. Is there some kind of formula for how many milligrams to take? Not really. But you can take anywhere between 500 mg to 1500 mg daily. I’ve got this gout for more than 10 years and I’ve had it now and then. Now I’m 2 weeks pregnant and I’m in pain because of this attack which started last night. Does anybody know any medications which relieves pain and is safe for pregnancy? 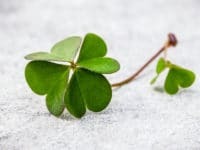 Start taking alfalfa pills, my father had gout really bad and he took alfalfa pills for 5-10 years and it has disappeared? I just got my first bout of gout just over a year ago and it was caused by eating too many tomatoes, so I do not eat tomatoes and I have not had any issues. I have started taking alfalfa pills on a regular basis. I suffered with my first gout attack for 19 days now. At first I had a muscle spasm in my right foot. Within hours the horrifying pain started. I eventually went to the emergency room I was give steroids and morphine. An x ray revealed gout.The pain was so bad I began to get nausea. I was sent home with pain meds which didn’t help. I’ve started drinking pure black cherry juice. I pray that it works. It’s too early in your diagnosis to really say much, your doctor should guide you on how serious this bout with gout really is. I can’t believe that you say that for the pain you took steroids, antibiotics and no relief. Did he prescribe you Colchicine? Colchicine works very fast, within days you have pain relief. I also had a bad bout with gout this month. I got a prescription for Methylprednisolone. It is a card of pills. The first day you take 6 pill and the next day 5 and the next day 4 and so on for six days. The first card helped a lot but needed to get a second prescription and now the pain and most of the swelling is gone. I’m also drinking the cherry juice two times a day. I like my beer but stopped drinking it. 50Mg Indomethicin capsules 3 X per day……gone in a couple of days. 2 tablespoons of cherry powder concentrated is equivalent to how much cherry juice concentrated? I find this article very informative. I will share it with others. Thank you. It depends on how many milligrams the extract is, better to compare that way. Thanks for the info on Cherry Juice and Gout!